President Abe Lincoln's DNA nitrogenous base bio-computer speech -- --> Four score and seven years ago . 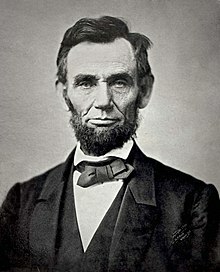 . . . .
President Abraham Lincoln was a biochemistry structure composed of biological DNA with symbolic DNA intellectual thoughhts. His Presidential internal DNA systems wished to communicate a message to the external world ...of the future ...AND the future is NOW. Now, basic college textbooks on genetics, biochemistry, and molecular cell biology provide CLUES to President Lincoln's DNA social engineering SIGNAL. Thus we see the expressions of Nature's intellect and the role of subset human institutions. Above, the INTERNAL biology ...DNA intellectual war zone. Below, the EXTERNAL image of the internal battle ...using supersymmetry biophysics mirrors. The battle of atomic bio-physics humanoids representing the social science thoughts of various biochemistry molecules. Thus the 4 components of DNA life and thought .....and its Constitutional project plan .. the DNA social engineering project started in year 1776 ....and the year 1861 biochemistry battle. Thus we see the expressions of Nature's intellect and the role of subset human institutions. The periodic atomic table of elements is the basis of life and thought. the atomic C, O, N -->CON.stitution. Atoms combine to create molecules. Nitrogen molecules become nitrogenous bases. DNA nucleotides become humanoid structures. Thus we see Lincoln's referral back to our year 1776 DNA symbolic origins. Notice, the Gettysburg Battle was in the 7th month ...July ...clearly a battle in specific place/time ... demonstrating Darwinian selection of the DNA message processing EVENT. Thus July 1, July 2, July 3 .... and the Gettysburg battlefield movements may have some message ...yet to be figured out by history ...... that is the history of social biochemistry signals that may be expressed as major EVENTS in politics. accidents, war, etc. We have outlined some basic concepts of DNA social engineering and DNA military expressions. In modern times, the T,A,G DNA nucleotides ...with the codon TAG .....has the military codon domprised of DNA soldiers at the pen.TAG.on. DARPA, the Pentagon, Washington,DC intellectuals and their university puppets deny this possibilty of Nature's architecture. Meanwhile, down to earth humble thinkers ....realize their relationship to Nature. Several philosophers have already outlined that SOCIAL CONTRACT with the EARTH government and its various componets. Perhaps, someday Washington,DC will consider additional sources of data about life/events that occur on EARTH ...especially since the SCIENCE WARS. The year 2013 view of the situation by Herb Zinser ......author of over 256 SCIENCE WAR status reports ..available as INTERNET BLOGS. DNA FCC = Francis C. Crick ...and the DNA wireless Cricket broadband system. Brain radio neurotransmitter secret humanoid agent: DNA FCC has yet to communicate to analyst HERBERT MAX ZINSER.......Nature's symbolic son for Maxwell equations, Hertzian waves,the atomic brain project plan (Max Plan of Max Planck), and the Margaret Mead nuclear family message from MAX BORN. The DNA curves interaction WAR with television, radio, cellular phones, and light bulb EM field curves. Nature's super-symmetry bio-physics DNA geometry war with citizen/government approved optical photon message tricks. Thus we see the modern photon light bulb-war ..... the electromagnetic helix wars with Washington, DC and thier optical nerve manipuation plots. Notice that the geometry of the new light bulbs is helix shaped ..... the Double-helix and the Double-cross ... treason in the intellectual optic wars. Thus the optic war battlefield and Virginia TECH English class 101 for eyes/retina/iris/pupils ..... a study in the CAUSE and EFFECT of VIRGIN TECH technology optical schemes and the very incomplete explanation about the TRUE, deeper nature of the tragic shooting. Year 2004 to 2009 - Admiral William Fallon chief of central command and General David Petraus through television news and newspaper classified information sections have given us the suggested hierarchy of various governments on COMPUTER EARTH. The advanced U.S. ARM Y-algebra chromosome uses the U.S. ARM, ELBOW, BRAIN, an ink PEN with word TAG, and English language SYMBOLIC WORD of HONOR to express classified secrets regarding the PEN.TAG.ON. Year 2009 symbolic life is very advanced; Norbert Wiener in 1948 suggested artificial intelligence governments that have societal awareness at a higher level than the usual 2-legged educated person. The Darwinian evolution penT.A.Gon itself represents 3 DNA nucleotides: Thymine, Adenine, and Guanine; the T.A.G component of Nature's advanced DNA military strategy that is ignored. using the bio-physics parallel processing BRIDGE methods of Cam.BRIDGE. Pharmaceutical industry researchers in political genes, social biochmistry, molecular sell cell biology are very familiar with their social engineering EARTH LAB government clinical trial demo. For the DEMO ...string theory physics puppet string theory was applied to atomic HUMANOID specimens in Washington,DC. ...to test the secrets of university professors. Do they understand the structure of Nature and society relationships? Nature's EARTH LAB and the Benjamin Lewin extension ...... via Darwinian SYMBOL MACHINE selection of a proper noun LEWIN --> message expressor. Monica Lewin (Lewinsky) and President Clinton clinical trial. 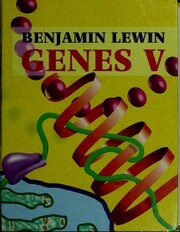 Nature's undercover agent (BL) Benjamin Lewin and the experimental gene extension is now the famous Darwinian evolution of BL --> BLT sandwich ...with human nonsense social thoughts now sandwiched between the EARTH government of Nature and the periodic atomic table government --> the Margaret Mead nuclear family, modern social anthropology, and atomic brain politics. Benja.min(d) --> 3/4 of mind + 4th wise man = 4/4 mind. The Y2k biological clock is intellectually interesting. if your symbol machine .... your brain bio-computer processor .... is concerned with continued self-existence. CLUE--> the time project is DUE --> from the CENTRAL TIME ZONE universities and state governments. What project? The Central Time Zone geography region is the Y2K frame of reference for the internal brain computer clock of the CENTRAL NERVOUS SYSTEM 370. Your cortex computer COBOL computer language needs to be aware of the existence of the time project at Little Rock, Arkansas in 1957. The Central High School situation really is a message from/about the CENTRAL NERVOUS SYSTEM 370 bio-computer data processor with Governor data BUS (Governor FauBUS). The 24 hour biological clock message of September 24, 1957 is really BASE 2 exponent 4 --> giving us Base 16 hexadecimal high school. Integration is most familiar to college calculus students --> as intergration by parts. For more information please visit the Math Placement awareness Test site at Central High Scool, Little Rock. In calculus, and more generally in mathematical analysis, integration by parts is a theorem that relates the integral of a product of functions to the integral of their derivative and antiderivative. It is frequently used to transform the antiderivative of a product of functions into an antiderivative for which a solution can be more easily found. The rule can be derived in one line simply by integrating the product rule of differentiation. The calculus experiment in the 1957 math awareness test shows that 56 years later . . . not a single math student has a CLUE to what's happening. Now, if you integrated the parts of your CENTRAL NERVOUS SYSTEM in harmony with MOTHER NATURE and other components of EXISTENCE in a respectful social BALANCE; then you would be okay. This is a subtle test: many people have already disqualified themselves; single older science professors have the highest probabilty of understanding the the basic TIME MYSTERY. Reference the other BLOGs for more TIME CLUES.